Finally, there is a lot of ‘junk in the system’ in the form of prior registrations that can serve further obstacles to successful and/or timely registration. In light of the above, there are a number of measures foreign filers can take in an attempt to minimize costs and unexpected delays in the application process. While not an exhaustive list, the following is an effort to identify some of the key best practices to employ when filing trademark applications in Indonesia. First, Conduct a preliminary search prior to filing. Such searches are particularly important in Indonesia because it is a first-to-file jurisdiction where prior registrations can and will block subsequent registration of identical and/or similar marks regardless of use. Furthermore, Indonesia has a long history of trademark squatting and piracy that continues to this day. Thorough and effective preliminary searches can help identify potential problems prior to filing, allowing the applicant to consider alternative measures in advance. Such measures may include modification of applications, private settlement or cancellation actions. This knowledge and advanced planning could help an applicant act to proactively recapture its mark in Indonesia, instead of unknowingly waiting 12 to 24 months to find out that its application was guaranteed to be rejected from the beginning. Second, make sure the preliminary search is a comprehensive one that includes pending applications. The Indonesian Trademark Office has a publicly available online trademark database that could potentially be searched in an informal manner. However, this database is not comprehensive (e.g., it does not contain pending applications) nor is it up-to-date. Thus, it cannot and should not be relied upon when making pre-filing decisions. Instead, comprehensive preliminary searches should always be conducted through the Trademark Office itself with the assistance of local counsel. Third, proper translation of the specification of goods/services into Indonesian should be emphasized. As mentioned, all trademark applications must be submitted in the Indonesian language. Past practice indicates that the courts, the Trademark Office and the Trademark Appeals Commission all view the Indonesian translation of the specification as controlling and do not place any relevance or importance on good/services were listed in their original language (often English). As such, particular emphasis should be placed on how local counsel translates the goods/services. While asking non-Indonesian filers to ensure accuracy of a translation into Indonesian is not practical, foreign applicants should at least emphasize to local counsel the translation’s importance and request, if so desired, to see the translation before filing or even that a professional translator be used. Fourth, ensure that the filing particulars match any previously filed applications or prior registrations for the same applicant. Almost any discrepancy in how an applicant’s company name or address is listed on separate applications/registrations will result in an Office Action, which will further delay the registration process. Even worse, it could possibly cause a rejection of the application altogether. Therefore, it is well worth the time to review the particulars of an applicant’s portfolio in Indonesia prior to filing. If inconsistent information exists, the appropriate recordal of name change or address change should be submitted to the Trademark Office before filing a new application. Fifth, register the mark exactly as it is used in commerce. Despite its international obligations, Indonesia’s trademark law contains a serious anomaly that requires a trademark to be used exactly as it is registered or face vulnerability from a cancellation action based on non-use. The extension of this provision is that filing black-and-white word marks does not provide broader protection in Indonesia. 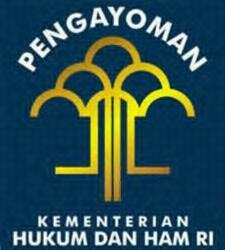 Instead, each mark should be registered exactly as it is used or will be used in commerce in Indonesia. Sixth, be prepared to appeal to the Trademark Appeals Commission, if necessary. Indonesian trademark law provides the Trademark Appeals Commission (“the Commission”) with authority to reverse application rejection decisions by the Trademark Office. 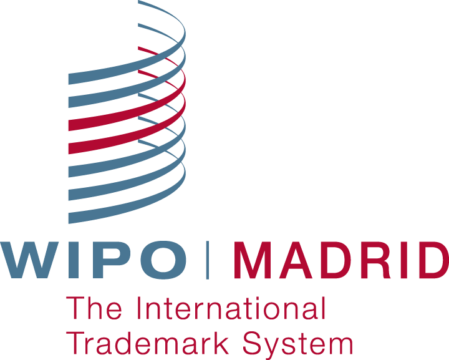 The Commission is made up of outside IP consultants and practitioners as well as senior Trademark Examiners and is generally more independent in its decision-making. The appeals process normally takes 6-9 months for a decision. Successfully arguing an appeal has the advantage of securing the original filing date for the application, which is important in a first-to-file jurisdiction such as Indonesia, as well as avoiding the potential need of attempting to find alternative ways to overcome the Trademark Office’s rejection, such as seeking to cancel the conflicting mark through civil litigation. Finally, litigation should be considered as a viable option to recapture a pirated trademark or cancel a conflicting mark. If a preliminary search or a rejection from the Trademark Office identifies a prior registration that will block future applications, filing a cancellation action can be a viable solution. Since 2003, the commercial courts have had jurisdiction to hear IP disputes in Indonesia and have developed particular expertise in trademark cases. While questionable decisions can still be issued from time to time, the courts are much improved and have shown a willingness to cancel registrations made by local owners in bad faith. The main court for foreign filers will be the Jakarta Commercial Court and it generally issues its decisions within 9-12 months of filing. As with any jurisdiction, the goal of filing in Indonesia is to make the registration process as smooth as possible, thus avoiding unnecessary delays and unexpected costs. While the above list is certainly not exhaustive, these steps should go a long way to helping foreign filers in Indonesia understand where potential pitfalls lie and hopefully help them avoid the long, tortured road to registration on which some weary souls have unwittingly found themselves. Januar Jahja & Partners (JJP) is a boutique intellectual property law firm based in Jakarta, Indonesia. Established in 1986, JJP is both highly experienced in and highly regarded for its work across all aspects of intellectual property law in Indonesia, including trademark and patent prosecution as well as IP-related litigation and other contentious matters. JJP is proud to provide legal services and counsel to well-known international businesses and leading Indonesian companies alike.